Most Western media have characterised the recent 19th National Congress of the Chinese Communist Party (CCP) as a pure power play, with President Xi Jinping entrenching his position. But the accumulation of political capital in this case is a means to an end. For Mr Xi, that end is a smooth transition to modernity that cements the CCP's long-term authority and ensures his own legacy as modern China's most significant leader. Mr Xi's motive in pursuing modernity is not, as many in the West have wrongly inferred, to establish China as a superpower on a par with the United States; on the contrary, Mr Xi views his current challenge and mission as being primarily domestic. He is motivated by the knowledge that success in this area will define his place in history. That, not the amount of authority he wields today, is his primary concern. Assuming otherwise sells Mr Xi - and his political ingenuity - short. Now firmly established as China's most powerful leader since Deng Xiaoping, Mr Xi can shape his legacy according to his own vision. Because his predecessor Hu Jintao lacked sufficient political capital to do likewise, China followed a largely passive path for a decade, pursuing conciliatory diplomacy (which enraged its citizens) and economically conservative strategies (which included suspending necessary reforms). No one, however, should mistake Mr Xi's enhanced powers for a personal dictatorship. 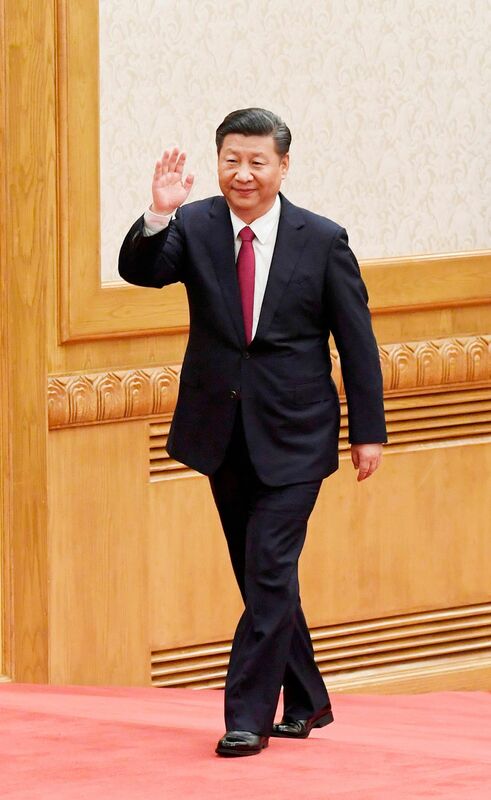 His choice of members for the Standing Committee of the Politburo, China's highest authority, was an accommodation with the reality that there are limits to his power. Only half of the men named to the committee were his true confidants. The legacy that Mr Xi seeks comprises three key components. The first is alleviation of growing social tensions. Beyond improving the provision of public goods, his promotion of the so-called China Dream of national rejuvenation has been aimed, in part, at encouraging people to seek fulfilment beyond material wealth. Second, Mr Xi wants to strengthen the CCP, not by force, but by reform. Over the last five years, Mr Xi has led an unprecedented anti-corruption campaign which has brought down one million party officials, from low-ranking bureaucrats (known as "flies") to the highest-level officials ("tigers"), throughout the country. Such a large-scale campaign, as some observers have portrayed it, was not a political purge in disguise. Rather, Mr Xi knew that widespread corruption was undermining the CCP's legitimacy in the eyes of ordinary Chinese. Only by cleaning up the party's behaviour could Mr Xi re-establish its credibility. Now, Mr Xi is ready for Act II of his CCP revival: improving state governance. Mr Xi is well aware that a case-by-case approach will not address the root causes of widespread corruption. For that, the entire system needs an overhaul. As he put it: "The party needs to govern itself." The first step is to improve the legislative framework. For many years, the lack of accountability and transparency, and of clear decision-making processes, have impeded reform. Now, China needs institutionalised mechanisms for enforcing the rule of law - one aspect of Western political systems that Mr Xi admires - among CCP officials, though the idea that the judiciary could be independent of the party remains far-fetched. But even the best-designed system cannot work if there is a dearth of competent personnel to run it - a limitation highlighted by Mr Xi's push for economic reforms in his first term as President. That is why he is placing a strong emphasis on cultivating a new generation of highly educated, loyal and, most importantly, incorruptible party leaders. A key challenge here lies in stemming the migration of China's top talent to the private sector. The third component of Mr Xi's legacy is also the most important - and already effectively secured. At the 19th National Congress, CCP delegates agreed to add "Xi Jinping Thought" to the party's Constitution, alongside "Mao Zedong Thought" and "Deng Xiaoping Theory". Now that Mr Xi's eponymous political ideology, which proposes an alternative to liberal democracy, is part of the school of thought around which the CCP coalesces, challenging Mr Xi is tantamount to challenging the party's very belief system. In short, Mr Xi has made himself virtually unassailable - his rare political skill elevating him to the status of secular deity. The fact is that, as a leader, Mr Xi has a lot going for him. He is well-educated and experienced in international affairs. He has weathered serious challenges and experienced first-hand the consequences of political and economic policies gone awry. He has a vast political network, thanks not only to his own deftness, but also to his family: He is the son of a comrade of Mao. And he now stands alongside Mao, as well as Deng, in modern China's political pantheon. But Mr Xi is not Mao, and he will not govern China as Mao did. Instead, he will learn from Mao's mistakes, so that he can lead China effectively into the next phase of its history - and secure the legacy that he so prizes. The writer is a professor of economics at the London School of Economics and a World Economic Forum young global leader.